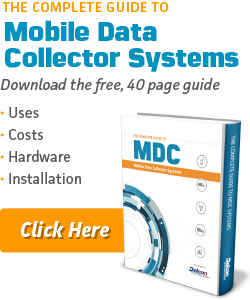 The Regional Municipality of Peel deployed Mobile Data Collectors (MDC) to track and report winter maintenance activities undertaken by their snow plow fleet and daily Road Patrol monitoring. In addition to monitoring snow plow activity, the Region of Peel Transportation Division/Roads Operations utilizes DTI MDC units in safety service patrol vehicles to monitor incidents, log maintenance events and track roadside service events. The integrated solution enables managers to view all fleet activity on the same screen. The Intelligent NETworks® system solution contains an interface into existing Region of Peel systems including, Hansen and Geomedia. This enables the Region of Peel to easily interface the MDC data with their existing software systems. Deployed the Intelligent NETworks® ATMS platform to the Region’s infrastructure. Installed the equipment in the Region’s vehicles. Responsible for equipment removal and re-installation each season into contractor vehicles. Developed custom reporting for the MDC-004 with a larger touchscreen for road event reporting for the Patrol vehicles, and worked with the Region to interface those reports with their existing system.